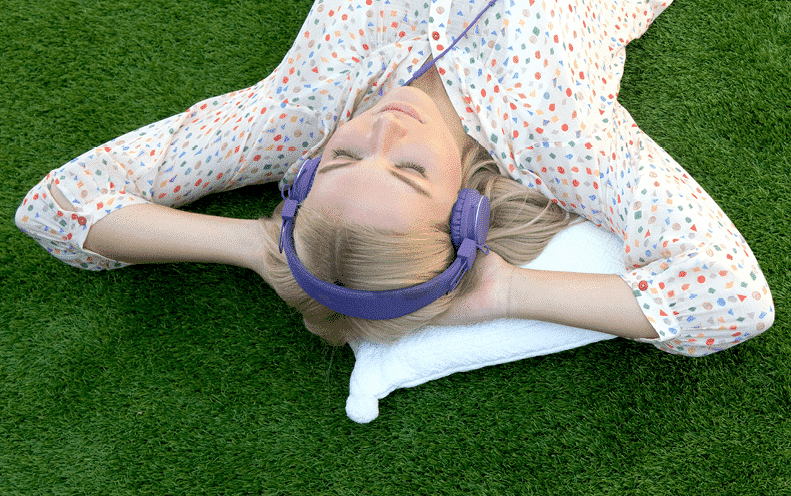 Artificial lawn is becoming more popular in Australia. It’s every homeowner’s dream to have a backyard with manicured lawn. Everyone loves the idea of lying back on a vibrantly green and beautifully soft patch of grass on a sunny day. Unfortunately it can be hard to keep natural grass up to that incredibly high standard. That’s where artificial lawn from Australian Outdoor Living comes in. There are many reasons to install an artificial lawn, and high quality synthetic grass developed specifically for the Australian climate is worth considering. Natural grass can be a bit of a hassle. You have to put in a lot of time, energy and money if you want to get the most out of it. Basic costs can include buying and maintaining a lawnmower and whipper snipper, as well as fertiliser to make sure the grass grows evenly. On top of all that, natural grass will require regular watering as well! Before you know it, the cost of maintaining your lawn has ballooned out and it’s all starting to seem like it’s more trouble than it’s worth. There’s even a chance that you won’t have the time to maintain it yourself, so you’ll need to pay someone else to do it. At the end of the day you may not even have the lawn you wanted, despite all the effort you put into maintaining it. The beauty of artificial grass is that you’ll only have to fork out the cost of installation. It’s extremely low maintenance – it never needs mowing and the edges won’t need tidying up. It’ll look great as soon as it’s installed, and the best part is it’ll stay that way for years to come! In terms of maintenance, you may need to deal with the odd weed that pops up here and there. You can use weed killer, or simply yank it out like you used to with your natural lawn! An occasional rinse with the hose wouldn’t hurt either, especially if you’ve got pets that like to use the lawn when nature calls! 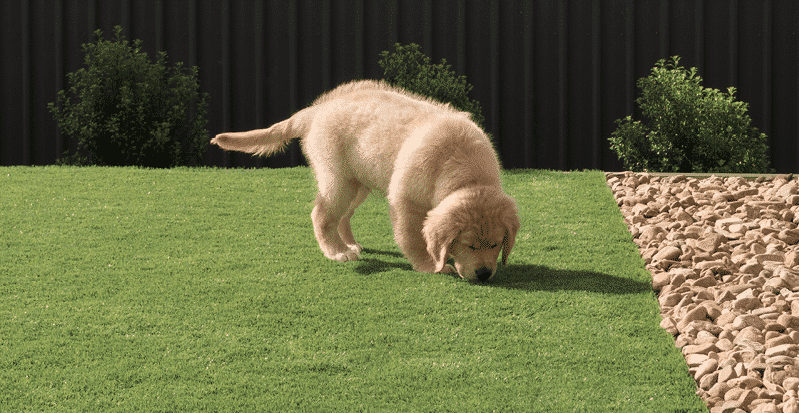 Our artificial grass is great for both kids and pets. Everyone likes natural grass, especially when it’s both high quality and well maintained. Unfortunately it isn’t always in a good condition, and once it begins to die it can be very expensive to bring it back up to scratch. This is why summer is such a tough time for people with natural lawn in their backyards. Here at Australian Outdoor Living we develop our grass with the Australian climate in mind. Our artificial grass will hold its lush green colour even at the peak of summer, while your neighbours’ natural lawn will turn yellow and dry. Our synthetic grass will make your backyard look like an oasis all year round. You know the water bill hits your hip pocket, but what about the environment? Natural grass requires constant upkeep to make sure it’s looking its best, and this upkeep can potentially be harmful to the planet. When you consider water restrictions, pollution from lawn chemicals and carbon emissions from petrol lawn mowers, natural grass isn’t actually very green at all. Artificial lawn lets you have your green backyard without the cost to both you and the environment! Our artificial grass is perfect for a relaxing afternoon in the sun. Artificial grass is a great choice for any backyard. It’s perfect for areas around swimming pools since it doesn’t become muddy when it’s wet. The kids can get as much water as they like on it, and it will never become an unsightly, slippery hazard. Likewise, it can withstand an incredible amount of traffic. Our grass will last up to seven years in high-traffic areas, meaning both children and pets can get the most of the backyard. The best part about it is that it goes with pretty much anything! Timber decking, swimming pools, concrete pavers – you name it, artificial grass will probably look good alongside it. It’s also a great choice for smaller spaces that are unsuited to natural lawn, like courtyards and balconies. Paying for good quality artificial grass may seem like a big commitment, but it can work out to be a much better investment than the natural alternative. It’s better for the environment and it’s much easier to maintain, meaning you can save both time and money. We just can’t seem to get past the many benefits that artificial lawn can provide! Contact Australian Outdoor Living today for a free measure and quote.